South Korea to Implement Blockchain Tech in Elections - Coinfomania Coinfomania: Where blockchain and cryptos live. According to reports on Wednesday, Nov. 28, from Business technology website, ZDnet, the South Korean Government is making plans to trial blockchain technology in electronic voting this December. The country’s National Election Commission (NEC) in collaboration with the Ministry of science and technology has decided to experiment blockchain technology in elections in the country. “The latest system to be developed will apply blockchain in voter authentication and result saving, which will increase transparency and security,” the report read. The system will first be used in surveys scheduled to be conducted in a private sector by the Korea Internet and Security Agency (KISA), and the Seoul National University’s Blockchain Society next month. However, plans are being made to adopt it entirely in the country’s electoral processes. 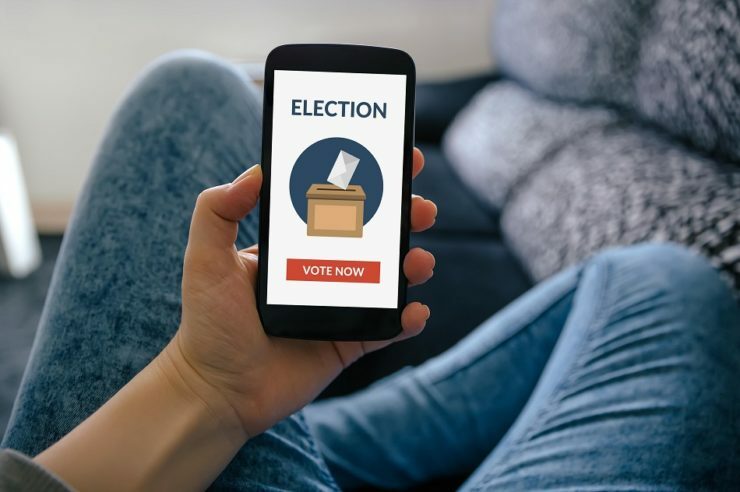 This new system of voting is designed to work with voters’ smartphones and personal computers for authentication. After that, every data entered will be stored on a distributed network, and the voters can follow up with the results as the voting progresses. Concerns are being raised by electorates over possible hacking and fraud in E-voting system, as they feel those in authority can easily manipulate results. Back in 2013, the NEC rolled out a similar system dubbed K-voting. At the time, the entire process saw about 5.64 million voters participating in the election which was as a result of lack of trust associated with the system by the electorates. According to the NEC, if this current system is used in general elections in the country, an upgrade will be made to the entire process which will feature artificial intelligence, big data, and IoT technology to enhance the voting system further. This is not the first time blockchain technology will be used in elections. In September, Coinfomania reported that a Japanese city, Tsukuba implemented the technology in its voting process. A method of voting, which required voters to place their “My Number” card on a card reader to determine their voting eligibility.